Wow, I can’t believe that I’ve already been conducting this experiment for 6 weeks! It’s crazy how quickly time flies! I have been thinking about things that I want/need for my trip and how I can incorporate these into this week’s challenge (like the ring from last week). Obviously, buying Old Navy flip-flops or a grey tank top for under $20 doesn’t really constitute a challenge (I could easily do both for under $20). Finding cheap sunglasses really isn’t that difficult either. So, after doing some window shopping yesterday I have decided to focus on finding a new hat! 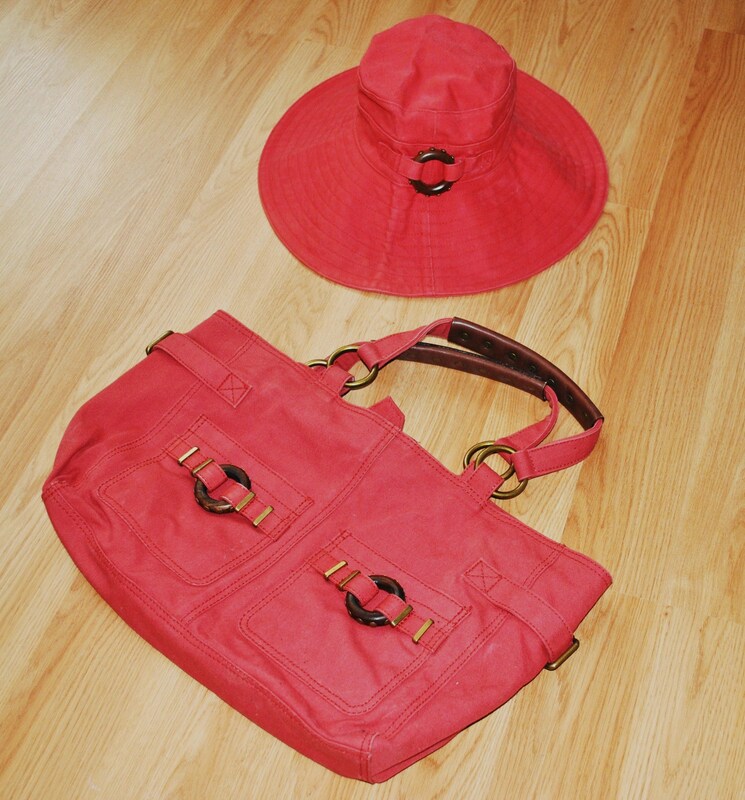 My much-loved hat and bag from GAP, these must be at least 10 years old! As much as I love this hat (and the matching bag, I really dig the whole safari vibe they have going) I feel like I am now ready to branch out and buy a new chapeau! So that will be this week’s challenge (I promise that this will be the last accessory challenge for a while, I’ll be going back to clothing after my trip!). They were even having a big sale yesterday and were giving out 50% off coupons but 1) the hat would still be over my budget, and 2) buying something ahead of actually declaring my challenge would of course be cheating! 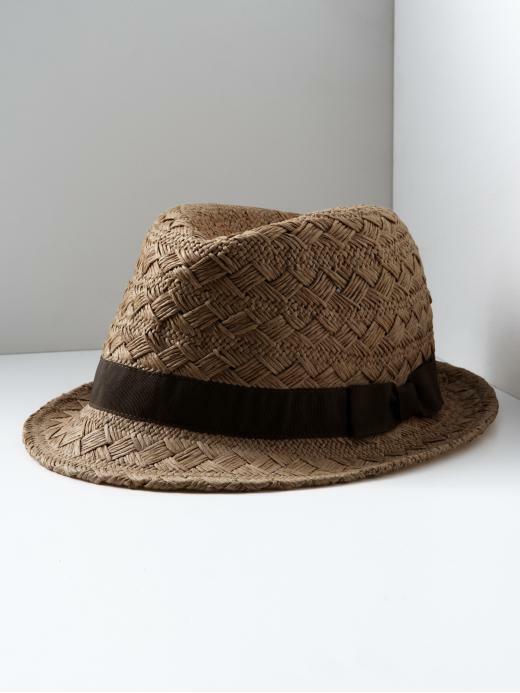 I am hoping that I can find something similar that is of good enough quality to stand up to the rigours of my trip and still be intact enough to wear this spring and summer. So the challenge is on! Wish me luck!